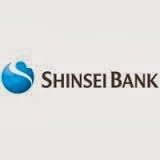 Shinsei bank card holders will now not only be able to deposit and withdraw cash at all Shinsei, Yucho Bank, and 7-11 ATMs across the country, but also at Lawson, Family Mart, and Daily Yamazaki ATMs. (As well as associated ATMs in a few other regional convenience store chains). In other words, Shinsei's already fairly convenient network of ATMs just got even better. Shinsei only maintains a dozen or so branches in metropolitan areas but does offer more remote patrons the option of signing up for an account by post. The standard account type includes foreign currency deposit options, meaning you can keep money in US dollars, Canadian dollars, Euros, etc. inside your Japanese bank account and send bank transfers to and from overseas institutions directly in those currencies. If you're not a fan of Shinsei but still want an English bank or foreign currency option, you may also consider Citibank, which also allows clients to open accounts by post and maintains ATM usage agreements with Yucho Bank and 7-11.